NEW YORK (Reuters) - Michael Cohen, U.S. President Donald Trump's former personal lawyer, was sentenced to a total of three years in prison on Wednesday for his role in making illegal hush-money payments to women to help Trump's 2016 election campaign and lying to Congress about a proposed Trump Tower project in Russia. 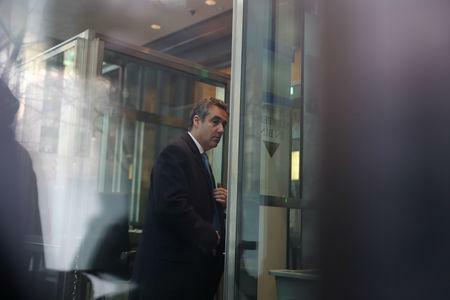 U.S. District Judge William Pauley in Manhattan sentenced Cohen to three years for the payments, which violated campaign finance law, and to two months for the false statements to Congress. The two terms will run concurrently.